Batman never leaves home without it! 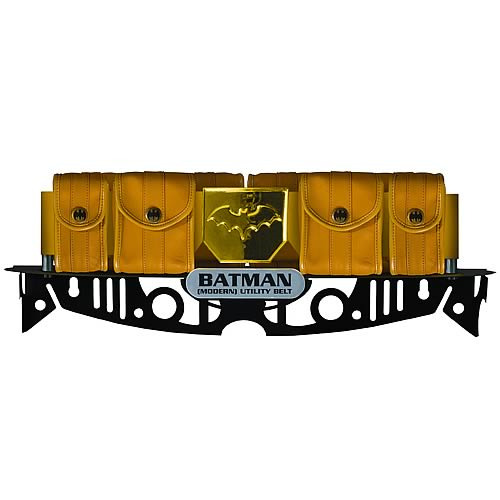 Limited edition prop replica of the caped crusader's utility belt. The Justice League of America Trophy Room collection continues to expand! Mixed-media piece includes optional mounting shelf and hardware. Note: This item is a prop replica only and is not meant to be worn.